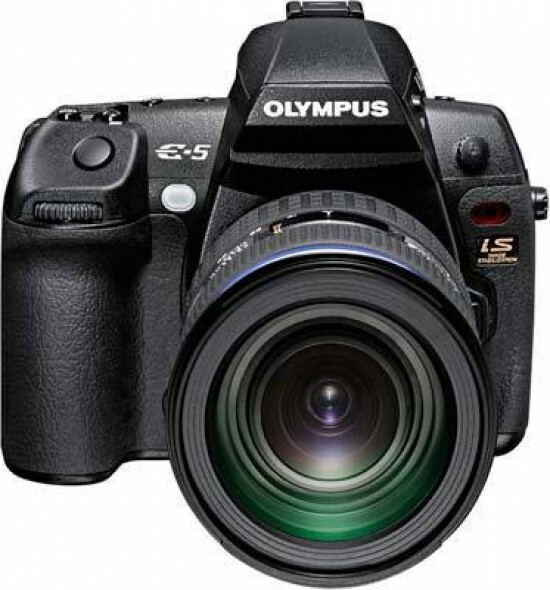 The Olympus E-5 is an exceptionally well-built and rugged digital SLR camera that is a joy to use and produces remarkably crisp images with great colours, and resolution that defies its pixel count. The tank-like build, chunky hand-grip, ultra-fast AF system and excellent viewfinder - all inherited from its predecessor, the Olympus E-3 - made for a great shooting experience, while the large, high-res articulated LCD screen proved to be a godsend when working on a tripod or shooting hand-held above the head or near the ground. Some of the innovations first introduced with the E-30 - and thus absent from the older E-3 -, such as AF fine tuning and a dual-axis electronic level gauge, are among the most welcome improvements, too. Having said that, Olympus did miss a golden opportunity to get rid of a few ergonomic glitches and usability handicaps that plagued the E-3: the multi-purpose buttons will still drive new users crazy in the first weeks, the dual-card concept is still poorly implemented with no instant back-up or automatic overflow options, and there is still no electronic focus confirmation available when using legacy lenses, unless you buy a "chipped" third-party adapter. Plus, the otherwise welcome increase in the size of the rear LCD monitor has led to a poorer placement of some buttons and the loss of a memory card door lock and physical IS button. In terms of image quality, there is a marked improvement over the E-3 thanks to a somewhat higher-resolution sensor and a weaker anti-aliasing filter. From ISO 100 through ISO 800, IQ is arguably superior to some of the APS-C competition, owing to an unusually crisp rendering of fine micro-detail that reaches nearly Foveon-esque levels with the Noise Filter turned off. Above ISO 1600, the situation is reversed as the Olympus E-5 cannot keep up with the likes of the Nikon D7000 and the Pentax K-5, which remain perfectly usable up to ISO 6400 and beyond, where the E-5 simply can’t follow them. Thus, from an IQ point of view, the choice boils down to where the bulk of your shooting takes place. As far as video goes, well, it is a mixed bag. We liked the manual exposure option and the quasi-dedicated movie shutter button, as well as the clean, high-quality footage produced. On the other hand the limitations imposed on video resolution, frame rate and recording time are all pretty incomprehensible given the pro status of the camera, and the "rolling shutter" effects are more pronounced on the E-5 than some competing models. The ability to apply Art Filters to video is great, though. Overall, the Olympus E-5 is an excellent camera and clearly the best Four Thirds DSLR to date. Its weakest point is the eye-watering price tag of £1499/$1699 for the body only, which is higher than that of any of the main competitors (and not much lower than that of the 24-megapixel, full-frame Sony A850). Granted, the E-5’s feature set as a whole is somewhat unique but it would be surprising to see masses of Canon, Nikon or Pentax users switch systems at that price, especially given that there are some highly capable cameras in their own systems available for considerably less money. If you are already a Four Thirds user though, we can highly recommend the Olympus E-5 to you - it’s simply the best companion for your Zuiko Digital lenses.